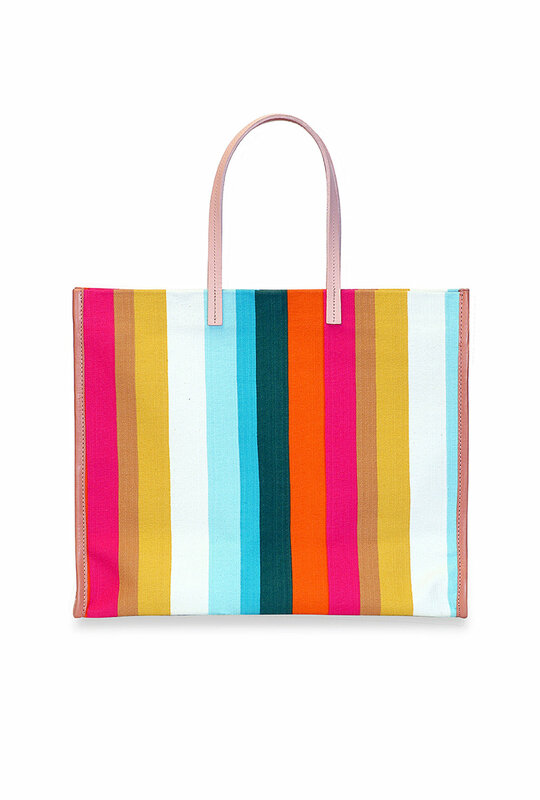 I'm sure most of you have already heard of one of my favorite clothing designers, Trina Turk! In 1995, Trina & her stylist/photographer husband Jonathan founded the vibrant clothing line that has since evolved to be a modern yet timeless lifestyle brand. 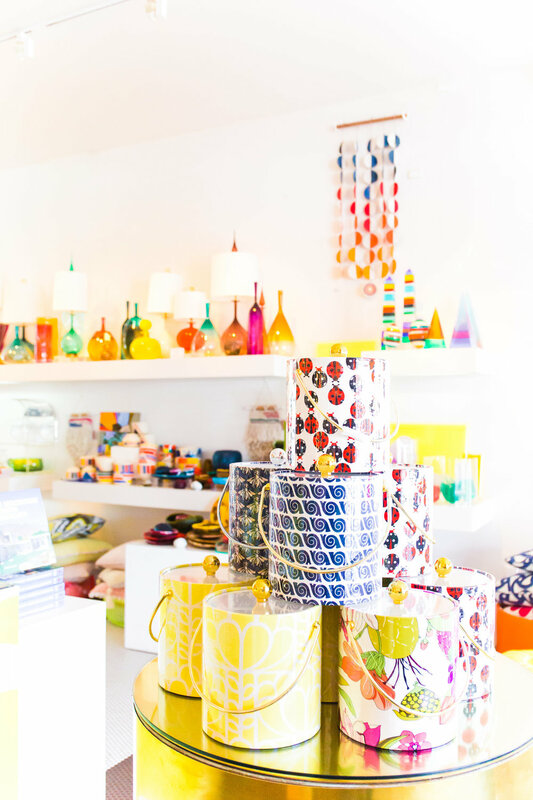 You guys know how much I love color, so it's no surprise that visiting her flagship brick and mortar is always on the top of my list when I visit Palm Springs! Liz: Tell us one thing you're glad you did from the get-go and one thing you wish you had known before you started your company. Trina: Bold print and vibrant color were important characteristics even from the very first collection. They have become touchstones of our brand. I should have been more cautious about who I invited to be a partner in the company early on! Liz: You're a successful designer who is still actually very involved with her brand. Tell us about what facets of your business you recommend delegating and what areas you're glad you still have a hand in. Trina: I would love to delegate everything that is not aesthetic or creative, but I’m still involved in all aspects of the business, partly because there is no one else to do it! My favorite part of my job is fabric and print selection, and creating styles that work in those fabrics and prints. Liz: Tell us about some of the benefits of having both a retail brand (that is available in other stores) as well as having brick and mortar stores of your own. These are essentially two separate businesses in some ways, but are you glad you did both? Trina: We started as a wholesale company at a time when department stores were doing quite well and before the advent of online shopping. The world of retail has changed dramatically during the years we’ve been in business, with department stores giving up a big share of their business to e-commerce. It’s great to have our own stores and trinaturk.com because between the two, we can meet style production minimums. We opened our first boutique in Palm Springs in 2002. The most gratifying thing about having your own stores is creating the environment to showcase the products. I’ve had a great time working on the interior design projects-- with great designers—for our stores. When you are only selling to other stores, how your products are displayed is not up to you. In our own stores, we have the opportunity to communicate directly with our customers, and hear their feedback about our products first hand. We can test styles in our stores and find out quickly if they’re working or not. Wholesale remains a very important part of our overall business. 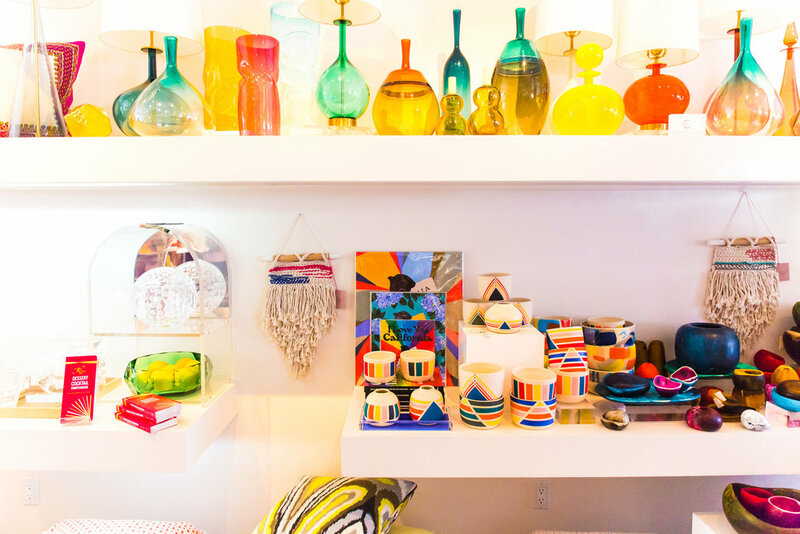 We have great customers who have been buying Trina Turk for years, and we value the support they have shown us by educating their customers about Trina Turk. Liz: Can you offer any insight to someone who is considering expanding their online brand to open brick and mortar? Is there anything you would have done differently in terms of store locations, size, etc.? Trina: We did it the other way around—i.e.brick and mortar first, then ecommerce, so I don’t have actual experience on how to expand an online brand to brick and mortar. There is a long list of things we would have done differently in terms of our retail location choices! We struck gold on our first store location (Palm Springs), but not all of our choices have been equally strong. My suggestion to anyone considering opening a retail location in the current environment would be to try a pop-up shop first to test the location and concept before signing a long-term lease. Liz: Considering you're a brand with national recognition, you still remain quite involved within smaller communities. For instance, you have been a featured designer at our Charleston Fashion Week, and most recently at (was it Phoenix?) Fashion Week. What are the benefits of being involved in smaller outlets vs. purely focusing on large scale events like NYFW. Trina: We were invited by Belk—one of our customers—to participate in Charleston Fashion Week, so it was in support of our relationship with Belk, and to bring brand awareness to customers in that part of the country. We recently participated in Scottsdale Fashion Week and Fashion Week El Paseo in Palm Desert, CA. We are scouting locations for a boutique in Scottsdale, so that’s why we did a show there. We have a one year old shop in Palm Desert, plus our store in Palm Springs, so we did El Paseo Fashion Week to show off our spring collection to potential customers in the desert. All of these shows were consumer facing events. We have participated in both Los Angeles and New York Fashion Weeks in the past, but these shows tend to be for buyers and press, and the merchandise shown will not hit stores for 6 months. If we were based in New York instead of Los Angeles, it would be more cost effective for us to show at NYFW more regularly! WOW! I can't thank Trina enough for sharing all of that amazing insight! She's truly an inspiration to all of us color-loving ladies and women in business. Check out my favorite spring picks below (which contain affiliate links I'll earn a commission from when you click on them), and don't forget to read my other entrepreneur guides if you found this helpful.